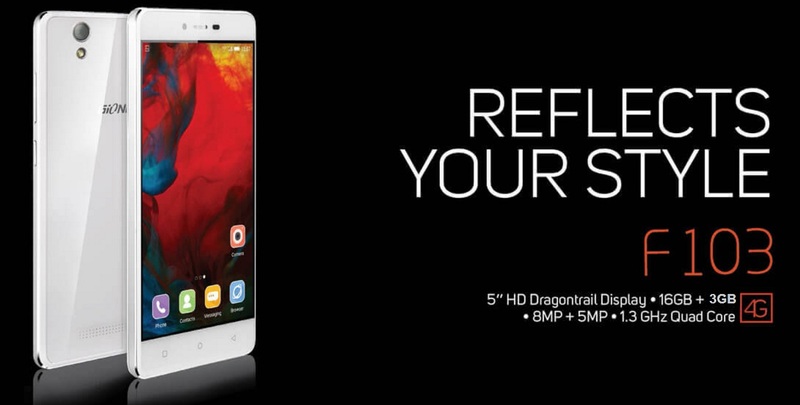 Gionee updated their latest Android Smartphone F103 in India with several attractive specifications. 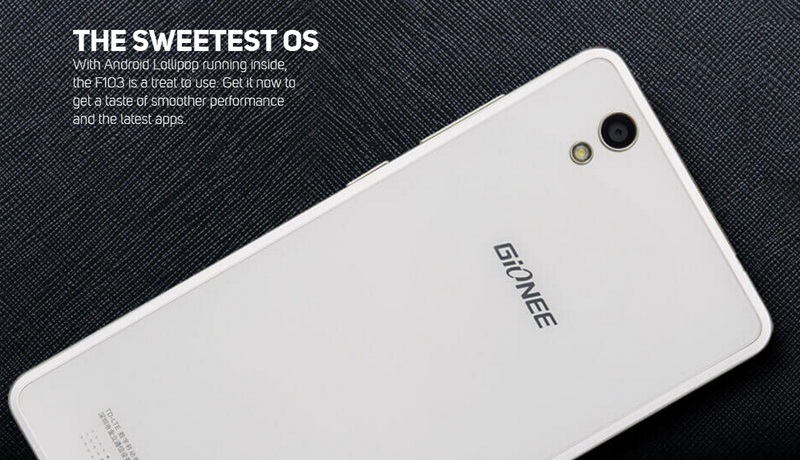 Gionee F103 is running on Android OS, v5.0 (Lollipop) operating system. Gionee used Mediatek MT6735 chipset in this phone. It has integrated Quad-core 1.3 GHz Cortex-A53 processor and Mali-T720MP2 graphics processing unit. The dedicated GPU can enhance your video watching and gaming performance. The phone has 3 GB RAM for process acceleration. It can simplify your multi-tasking. Company added Accelerometer, proximity, compass etc., in this phone for better user experience. Gionee F103 is 4G smartphone. You will get Dual SIM (GSM + GSM), Dual Standby in this Android phone. Available mobile network bands in this phone are GSM 850 / 900 / 1800 / 1900 - SIM 1 & SIM 2 for 2G, HSPA 900/1900/2100 for 3G and LTE band 3(1800), 40(2300) for 4G LTE network. The internet speed of this phone is HSPA, LTE. 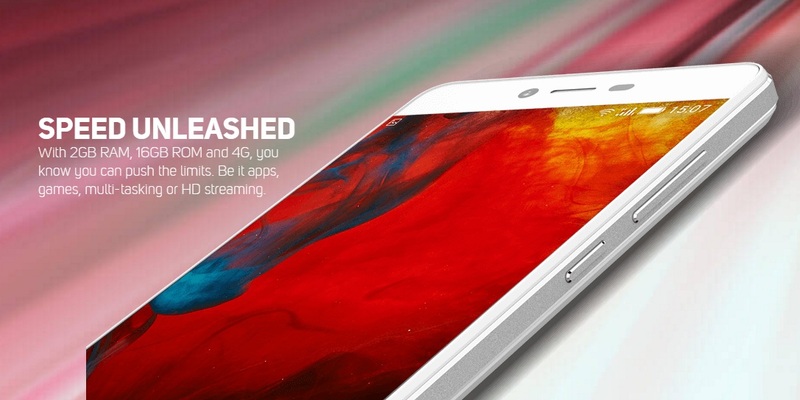 The phone has 5.0 inches IPS LCD capacitive touchscreen, with 720 x 1280 pixels resolutions. Gionee F103 Main Camera 8 MP, 3264 x 2448 pixels, autofocus, LED flash and Selfie Camera 5 MP. The camera features are Geo-tagging, touch focus, face detection, panorama, HDR. Storage capacity of this phone is 16GB. It has microSD card slot for further storage expansion (up to 32GB). For connectivity and sharing, the phone has Wi-Fi 802.11 b/g/n, Wi-Fi Direct, hotspot and microUSB v2.0, USB Host. It has A-GPS receiver for location positioning. 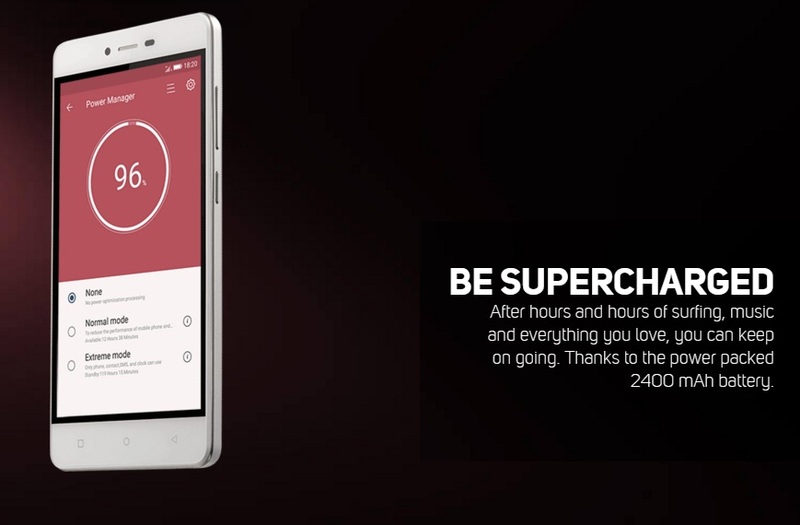 The phone has 2400mAh Li-lon battery. It can provide long standby and talktime. The dimension of this phone is 143 x 70.3 x 8 mm (5.63 x 2.77 x 0.31 in). FM Radio is available in this phone and the list of supporting audio and video file formats are: MP4/H.264 player, MP3/WAV/eAAC+ player and also Photo/video editor, Document viewer. Some inbuilt apps are added to this phone for providing better user service. 5020mAh of battery mounted Gionee M5 Plus the possibility of Japan also appeared large? Gionee Marathon M5: High Capacity Battery Phones!